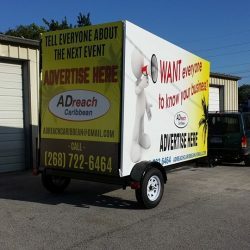 This three-sided mobile billboard is an excellent choice for driving campaigns and making your way through the busy streets of your town. 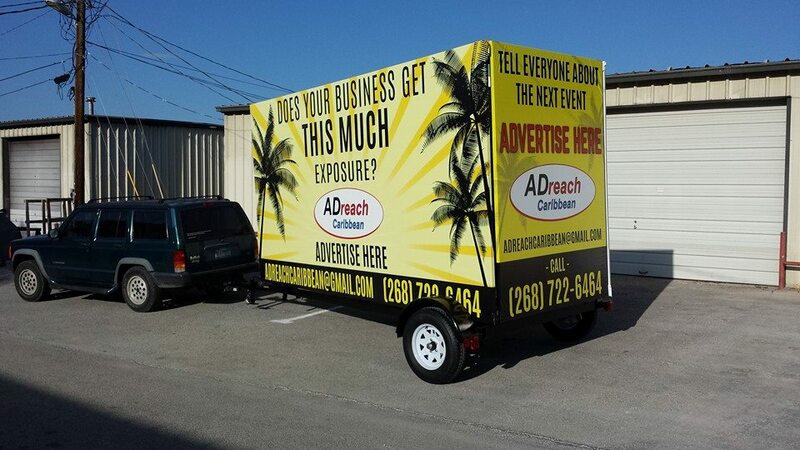 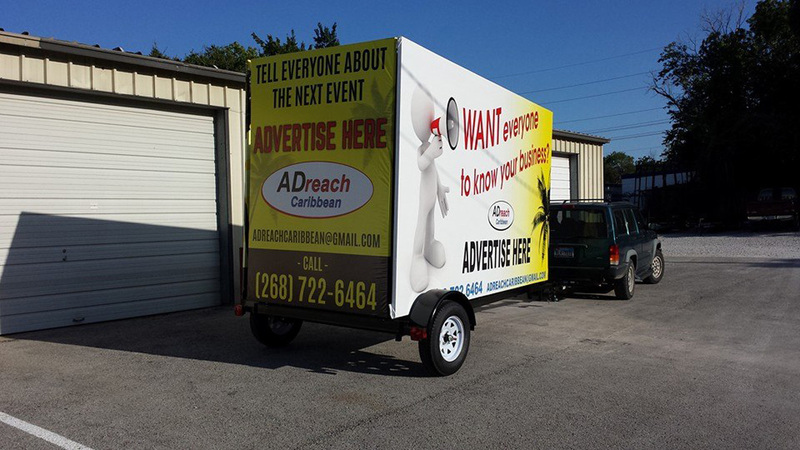 A three-sided mobile billboard trailer gives you the maximum advertising space available. 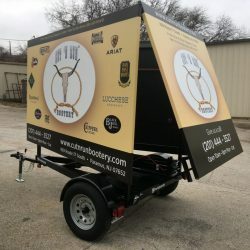 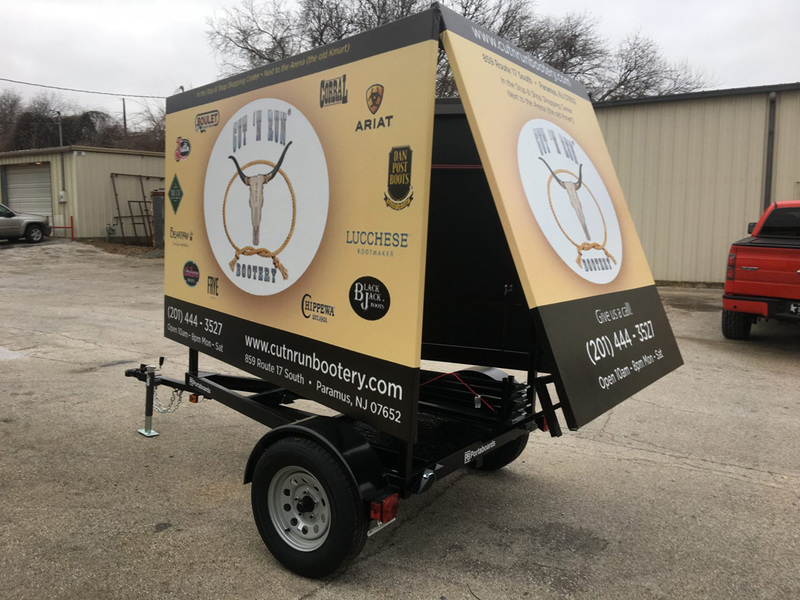 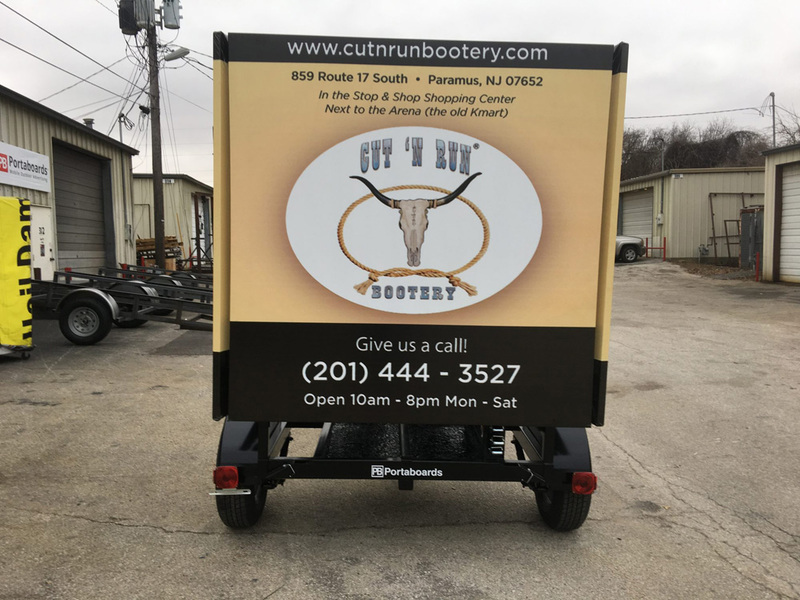 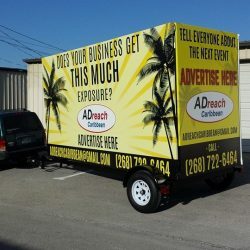 This portable billboard allows for you to advertise your business or product from all sides, making it even more effective! Contact us today to learn more about this three-sided billboard. 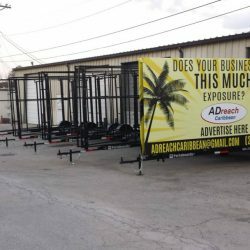 This three-sided billboard offers 6’x10′ on each side and a panel on the back, allowing you to advertise on 147 sq ft of space. 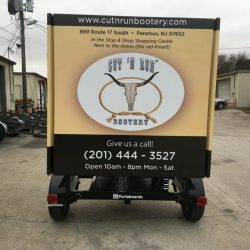 This is a great choice for high-traffic cities. 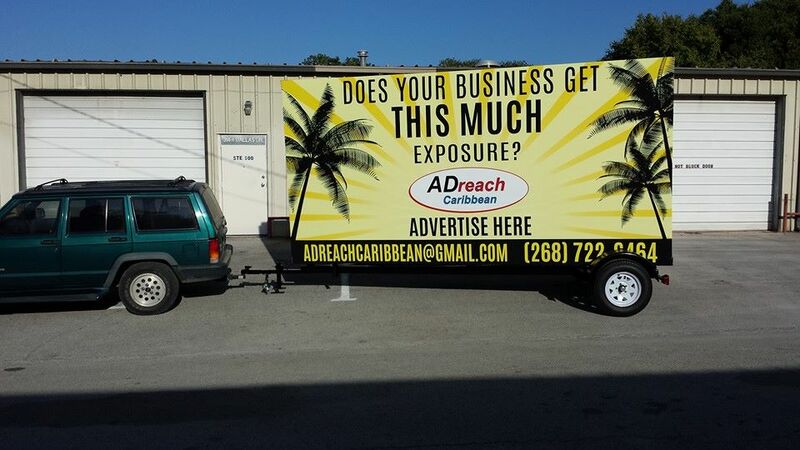 Advertise on 260 sq ft of space with this three-sided mobile billboard! 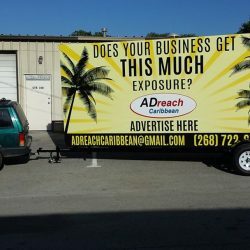 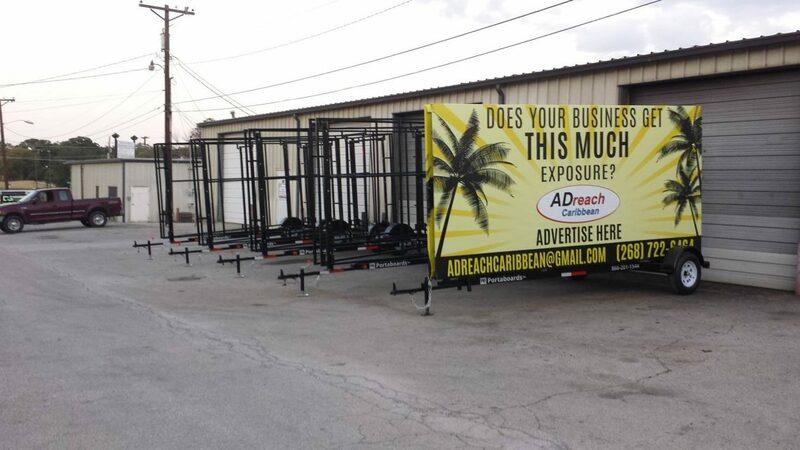 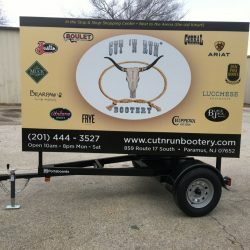 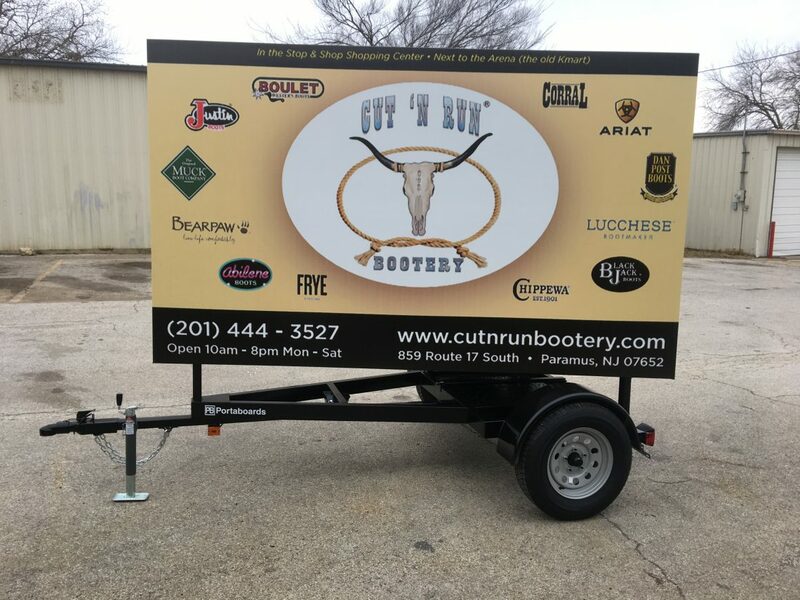 The 8’x14′ sides and the back panel make this portable billboard an awesome way to spread the word about your business.